Pure Titanium Tableware / Dinnerware Sets have the Characteristics of High temperature resistance,Low temperature resistance,High strength,Good heat transfer,Corrosion proof and light. 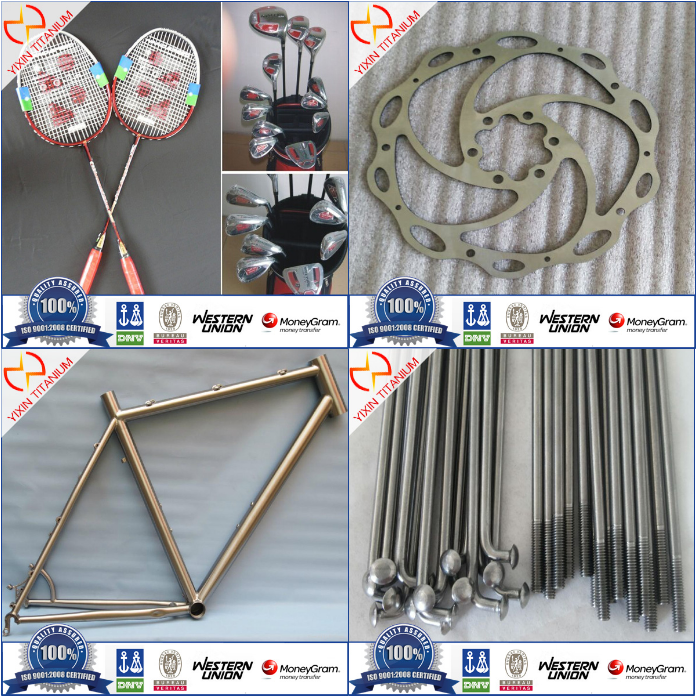 Titanium advantages are not only light, also have high strength, corrosion resistance, and easy to high-temperature sterilization, so itanium alloy was made into many titanium arts and crafts. Titanium tableware and cookware are gradually being recognized by consumers. 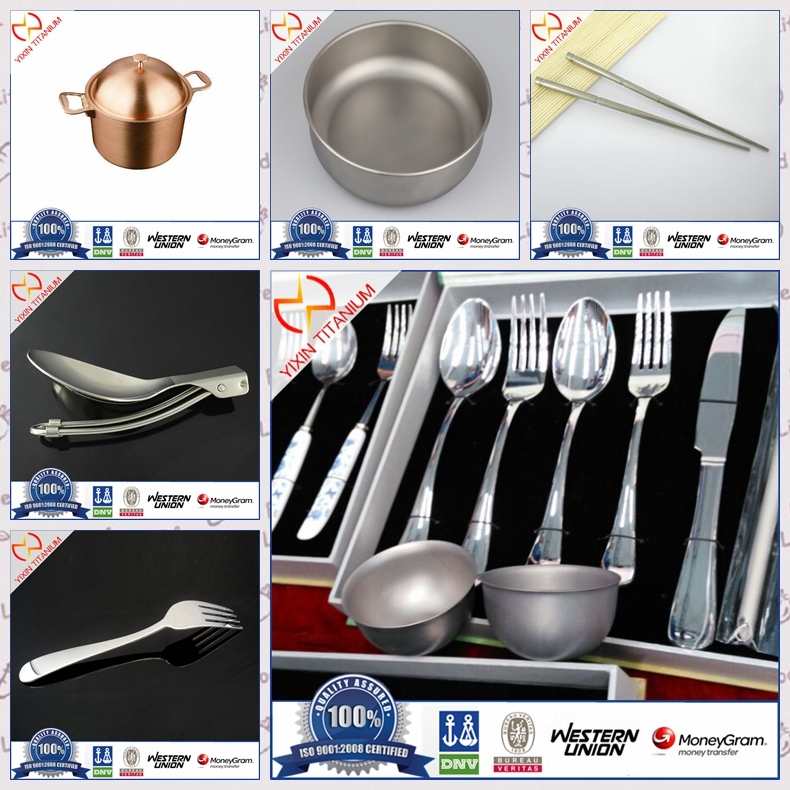 Titanium tableware and cookware included chopsticks, spoon, fork, bowl, pot, cup,knives etc..
3.Accept customization logo,design can be added according to your requirement. 5.Windproof ,availabe for outdoor sports ,camping ,hiking . OEM Accepted, Beautiful, Easy collection, Harmless to skin,Top quality,Eco-friendly,Light weight and hard surface. Looking for ideal Pure Gr1 Titanium Dinnerware Manufacturer & supplier ? We have a wide selection at great prices to help you get creative. All the Pure Titanium Cookware Sets are quality guaranteed. 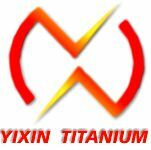 We are China Origin Factory of Titanium Tableware with High Quality. If you have any question, please feel free to contact us.